Nothing says Beltane better than a cold snowy day. Yes, I live in Colorado. These snow days of April and May, mixed in with beautiful warm sunny days is the hallmark of my state. For the knitter, it presents an opportunity to finish up those winter shawls, sweaters and scarves still on the needles, with the thought being that they may be just be worn one last time before being tucked away for the season. 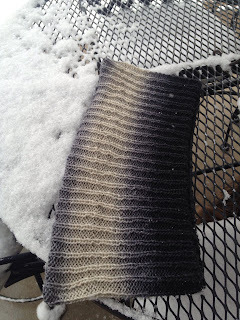 I have been working on a sweater for the better part of the winter that is getting very close to being done. In fact, if it was going to be sleeveless, it would be done! 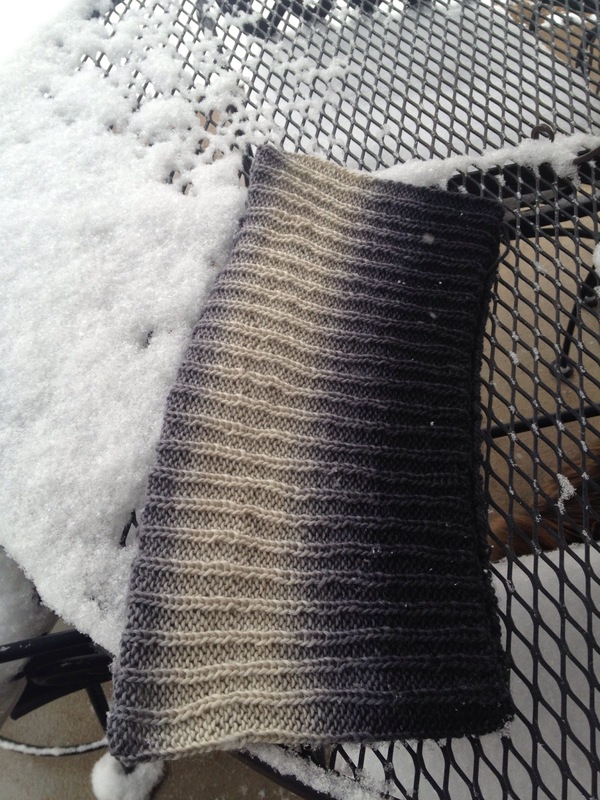 What I did manage to finish is this gradient grey cowl. I bought this wool yarn on my latest trip to Portland and started working on it there. It's a simple pattern and quite striking at that. My other recent knitting projects have been tarot bags. I was inspired by the fairy tale theme and thus far have complete two bags with a third one almost done. I already have an idea for a fourth one. All i need is a sprinkling of fairy dust to speed up these slow fingers. On second thought, I'll settle for a Martini, straight up with three olives very very dry.